ONLY 2 HOMES REMAIN! 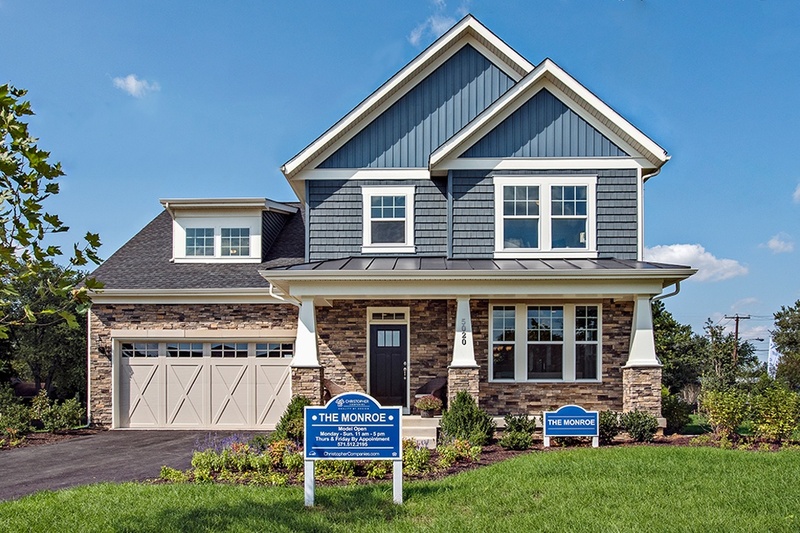 Nestled behind Greendale Golf Course in Alexandria, the Reserve at May Hill is a brand-new development of 12 heavily landscaped 1/4 – 1/3-acre single-family home sites. Under 30 minutes to the capital and within minutes to Kingstowne and Springfield Shopping Centers, Alexandria's Top Golf and nearby three major parks. ONLY ONE HOME REMAINS! The Reserve at Hampton Springs features gorgeous single family homes showcasing incredible features, including: stainless steel appliances, gleaming hardwood floors, spacious and open living spaces and beautiful designer fixtures. These homes ENERGY STAR and NGBS certified! Inquire within today! READY NOW! Located in Fairfax, VA, the Grant is a centerhall colonial home featuring over 4,000 sq. ft. on a desirable home site. This home includes 6 bedrooms and 4 bathrooms. Also included in this gorgeous home is a sunroom, hardwood floors, a gourmet kitchen and EnergyStar® appliances! In addition, this home includes a loft on the second floor, a finished basement with a rec room, an exercise room and a den. Come tour the final home available at Hampton Springs today! New phase now selling! Millville by the Sea is Delaware’s next great beach town. Located just four miles from the pristine sand and surf of Bethany Beach, this gorgeous master-planned community is inspired by the classic beach towns of the East coast. Multiple distinct neighborhoods offer homebuyers a range of choices depending on their desired architectural style, and with amenities such as a state-of-the-art lifestyle center with an outdoor grill and crab shack and hiking trails, you'll feel like you're on vacation everyday. 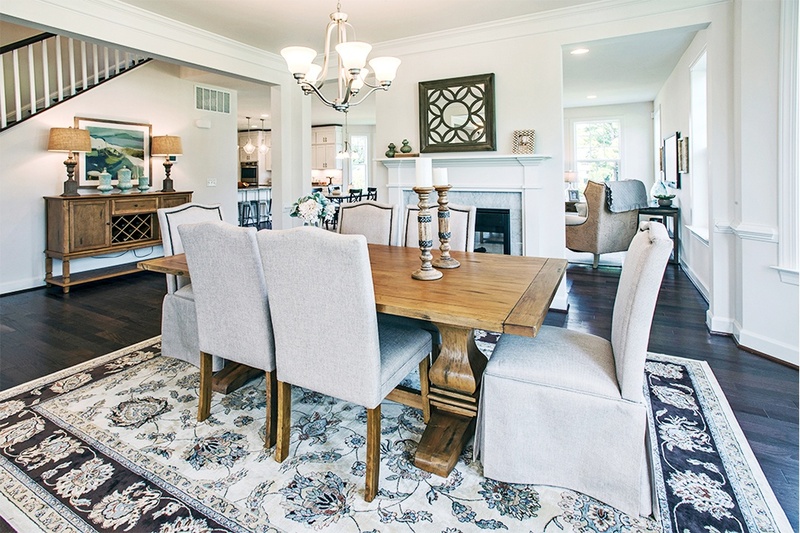 Christopher Companies is offering a diverse selection of luxurious single-family homes within the community, with distinguished features such as sumptuous owner’s suites, nine-foot ceilings, optional screen porches, patios, and more, to enjoy the outdoors. First floor living is a hallmark of Millville by the Sea, but a loft second level is available for those that want to expand their living area. The Christopher Companies’ construction touchstones are unparalleled, leading the way with our devotion to energy and resource efficiency. We are committed to offering our customers healthy and environmentally-friendly homes. All Christopher homes are Energy Star® certified and meet National Green Building standards. This popular "Avalon" home is almost 2,100 sq.ft. and comes with 4 bedrooms amp; 3 bathrooms on one of our best homesites, backing to acres of open space! Additional landscaping is included. Enjoy first floor living with a large owners suite, dual closets, amp; a customized owners bath including a walk-in shower w/ tiled floor amp; bench seat. An open layout, upgraded kitchen cabinets/appliances, home office, guest bedroom, amp; upgraded vinyl plank flooring throughout round out the first floor upgrades! Treat your guests to a private oasis with the included 2nd floor guest quarters complete with a loft, full bath, amp; bedroom. All of this comes included amp; less than 5 miles to Bethany Beach! FINAL CONDOMINIUM BUILDING NOW SELLING! The Crest of Alexandria is a thoughtfully planned 55+ Active Adult Lifestyle community, designed in elegant harmony with nature. Christopher Companies is now selling 1-3 bedroom condominiums, with up to 1,858 sq. ft. and a secured parking garage on the lowest level! Enjoy the dynamic life you’ve earned with abundant communities including a 5,000 sq. ft. community clubhouse with a yoga studio, gardens, an outdoor kitchen, paths walking trails, pickleball courts and more!